Welcome to the Cultural Synergies May 2008 newsletter. Last month I spent some time in Singapore as a guest speaker for Community Business, a Hong Kong based group. The three day �Diversity and Inclusion in Asia Network� conference was a gathering of key people from a range of different multinational organizations from various industries and countries. It was with great energy and enthusiasm that these individuals dialogued and exchanged ideas on how to stimulate the creation of further programs and initiatives that support diversity and inclusion in Asia. The demand for leaders within Asia is ever increasing and filling these positions of leadership with competent, suitable employees, whether they are local or expatriate, is proving a challenge for many organizations. The bottom line is that the supply of Asian managers with the desired skills and experience base is falling well short of the increasing demands of the global market place. Outdated attitudes on �who� or �what� makes an effective leader often prevail in many workplaces. I think that more work needs to be done to break down some of these stale stereotypes and attitudes. Creating and maintaining the awareness of some of these long standing work practices and traditions such as relying on expatriates to further the business, is no longer sustainable or desirable. Conferences such as this one in Singapore provide a much needed space where leaders and managers from a whole range of different perspectives, experiences, backgrounds, skills and industries can come together to discuss, share and create actions for change. It is inspiring to see large multinational organizations utilizing their time and resources to understand the challenges. It was great to see that some key actions to impact change that were discussed last year are already underway while others are in the pipeline. 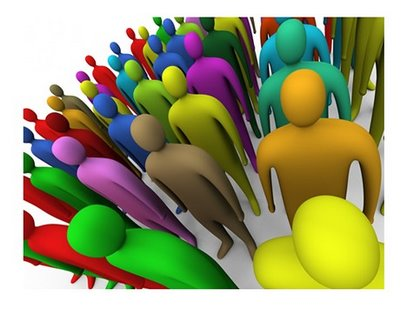 Diversity and inclusion need to be an integral part of todays� �business as usual� policies; they need to be practised on both individual and organizational levels. On a personal level we need to keep asking ourselves how can I be more inclusive? What do I do to promote inclusiveness? On an organizational level we need to ask questions such as how does my organization promote inclusiveness and diversity? Does my organization promote succession planning? How does it develop talent internally? We can, individually and collectively, enrich our workplaces and our communities by being more inclusive of the diversity that exists within our world. 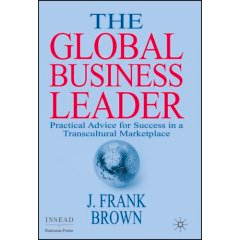 The Global Business Leader: Practical Advice for Success in a Transcultural Marketplace: J. Brown (Palgrave Macmillan) 2007. Brown's book provides a timely and valuable contribution to leading global organizations. His rich personal experiences that have accrued over 25 years provide a lot of examples and allow him to capture the essence of change, innovation and responsible leadership. I particularly recommend this book to anyone who is managing high performance global teams or anyone leading in a multi-cultural environment. It offers some great tips on communicating, mentoring and innovation, networking, building teams, crisis management and the ever elusive work/life balance.